Finding out what to wear to the various holiday shindigs this winter can be challenging for even the most sartorially-snobby. Luckily I've taken out a lot of the guesswork and have picked some stunners that are sure to delight even the sourest of Scrooges! I went for a palette of black, red, and gold - the black and red scream classy, elegant lady, while the gold adds a touch of holiday sparkle (and let's be honest, who doesn't love a dash of gold?). 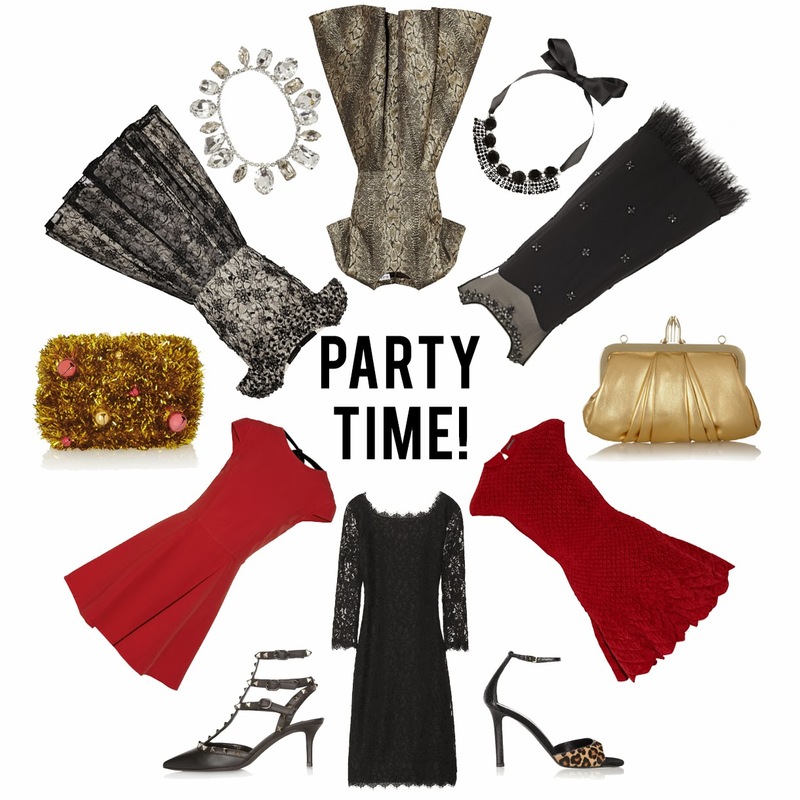 Fit and flare, lace, open backed, embellished - the gang's all there! Pick any one of these dresses and you are guaranteed to be the talk of the party. And these dresses are classic and therefore universally flattering, which means you have no excuses not to wear them (or dresses inspired by my personal picks, at least). So where are you ladies off to this holiday season, and what will you be wearing? I'm sure it will be brilliant!